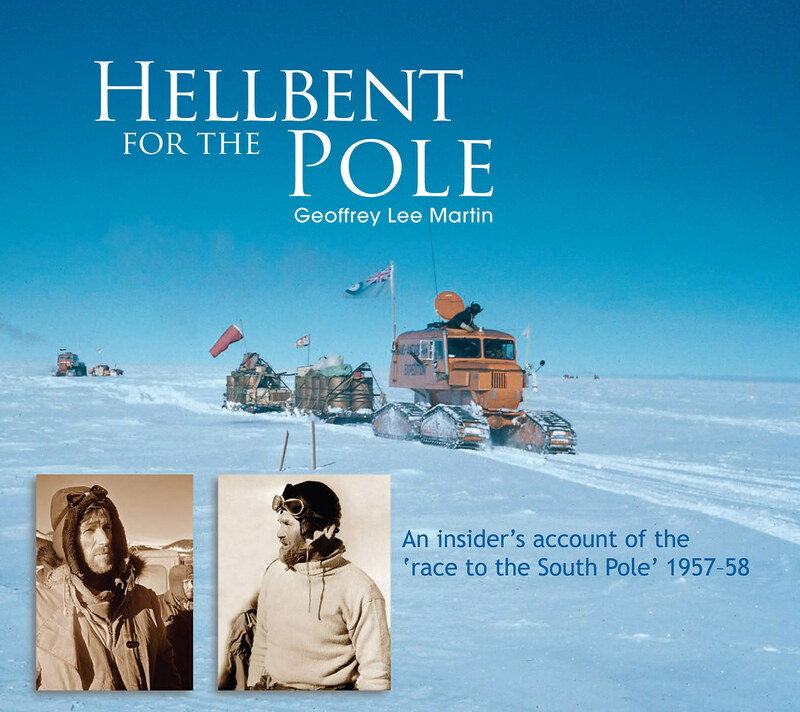 About Hellbent For the Pole: "On 20 January 1958, Sir Vivian (then Dr) Fuchs and Sir Edmund Hillary met at the South Pole amid a worldwide blaze of controversy. It was the halfway point of the Commonwealth Trans-Antarctic Expedition’s crossing of the Frozen Continent — but Hillary and his ‘support’ team, driving modified Ferguson farm tractors, had made, inHillary’s words, a ‘hellbent’ dash to the Pole, pipping Fuchs and his team in their more sophisticated Sno-Cats. journalist covering for the New Zealand Press Association, The New Zealand Herald and The Daily Telegraph in London, and illustrated by many dramatic and historic photographs taken by the author. Most books recounting human exploits in Antarctica involve the concept of the hero. This book digs beneath that outdated ‘stiff upper lip’ approach to tell it like it really was, warts and all."